An Initial Public Offering (IPO) is when the stock of a new or existing private company is on offer for the public to buy for the first time. Formation of external IPO team which consists of lawyers, an underwriter, Certified Public Accountants (CPAs). Company’s information, including financial performance and its operations, is compiled. Financial statements of the company are audited. The company then sets a date for offering IPO. A company issues their shares and debentures for the first time through an IPO. Due to this, traders can pick up stocks of the company at their lowest prices yet as compared to costly stocks of companies that are already listed in shares market. It will lead to an increase in traders' profits in a very short span of time. Also, shares issued by these companies are quoted at high premiums. The subscription list is kept open for a minimum of three days and a maximum of 10 days. As most of the IPOs are oversubscribed, the list closes within 3 to 5 days. All traders must try to invest in companies that have something new to offer. Companies starting to manufacture a product in a country where it is currently being imported, corporations bringing in new and advanced technologies, corporations introducing better quality of products, or groups venturing into new areas are some of the better options for investing money. Try to avoid investing in tiny businesses as they may be unreliable and may stop operations out of the fear of losing money. Keep following news on the internet or newspapers to know about upcoming IPOs of different companies so that you do not miss out on a good company. Use knowledge-sharing services provided by brokers to know more about new IPOS. You can also use trading apps to get notifications of latest IPOs. Thus, you will be at an advantage over other traders. Investing in stocks without analyzing the business is risky. People tend to invest blindly in companies that are more prominent and are supported by significant brokerage firms to get more profits. It necessarily may not be true. 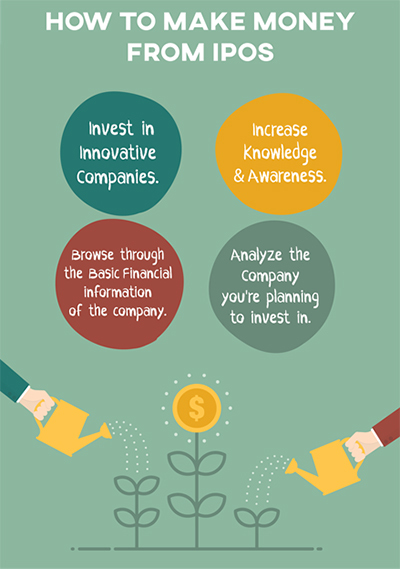 Try to invest in companies after researching on their growth potential. Also, read the prospectus of the companies carefully, as it will mention the financial details of the company. This will help you make more appropriate investment strategies. 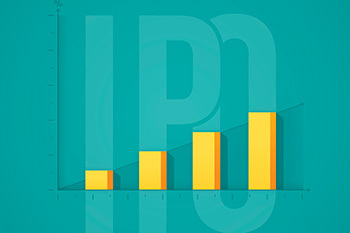 IPOs are a way to gather a lot of capital at a lower cost. They also provide highly profitable trading opportunities for traders due to their low cost. For successfully investing in IPOs, traders need to have some basic financial information about the company. Do try not to miss out on good and upcoming IPOs in the future!